Back row, L to R: Senior Leader (name uncertain), Yolande Norris, Angela McIntyre, Barbara Taylor, Pauline Gilbert. Middle row, L to R: ?, Margaret Pearson, Glenis Sharp, Vivian Jallands, Goodwin, Jill Howitt, ?, Miss Margaret Taylor (Leader). 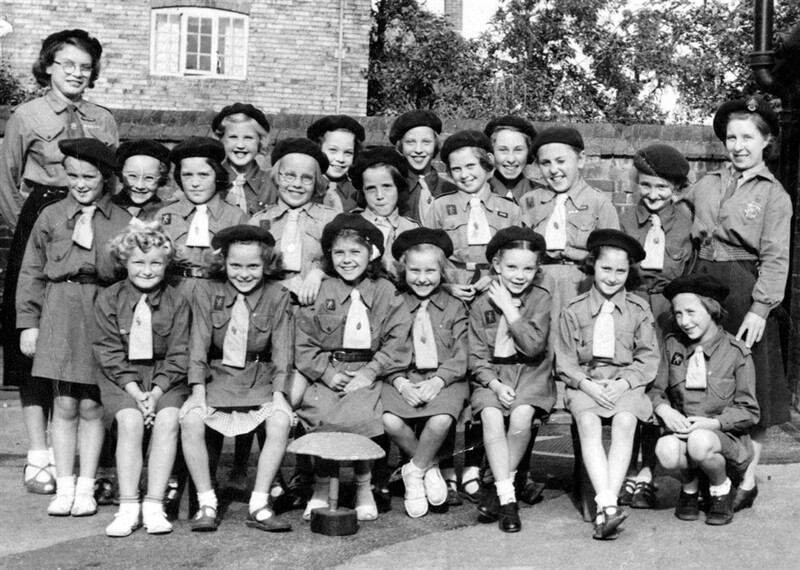 Front row, L to R: Kathleen Samuel, Christine Goodson, Glenis Sharp, ?, Ann Wilkinson, Maureen Guy. ?. The location is in the yard behind the old village school on Grantham Road.